Yes, now we know! 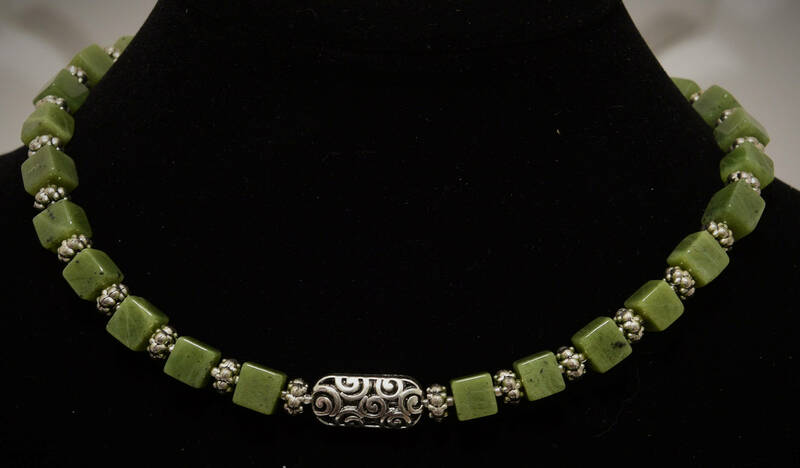 Jade and silver looks beautiful together. 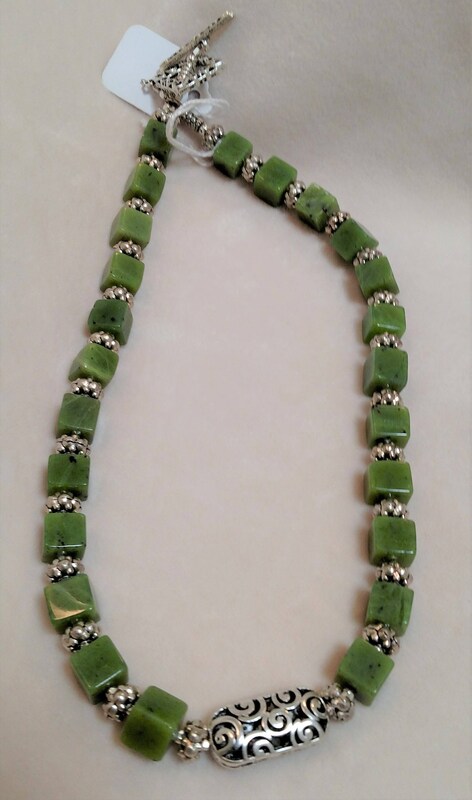 Break with tradition and wear these beautiful green jade cubes around you neck; simply lovely to look at and you'll love telling everyone its Jade.